The locations of the Chicago Park District water and weather sensors that feed https://data.cityofchicago.org/d/qmqz-2xku and https://data.cityofchicago.org/d/k7hf-8y75. The Chicago Park District collects and analyzes water samples from beaches along Chicago’s Lake Michigan lakefront. The Chicago Park District partners with the University of Illinois at Chicago Department of Public Health Laboratory to analyze water samples using a new DNA testing method called Rapid Testing Method (qPCR analysis) which tests for Enterococci in order to monitor swimming safety. The rapid testing method (qPCR analysis) is a new method that measures levels of pathogenic DNA in beach water. Unlike the culture based test that requires up to 24 hours of processing, the new rapid testing method requires a 4-5 hours for results. The Chicago Park District can use results of the rapid test to notify the public when levels exceed UPEPA recommended levels, which is 1000* CCE. When DNA bacteria levels exceed 1000 CCE, a yellow swim advisory flag is implemented. For more information please refer to the USEPA Recreational Water Quality Criteria (http://water.epa.gov/scitech/swguidance/standards/criteria/health/recreation). Historically, the Chicago Park District used the culture based analysis method and statistical prediction models to monitor beach water quality. The culture based method tests for Escherichia coli (E. coli) bacteria which is an indicator species for the presence of disease-causing bacteria, viruses, and protozoans that may pose health risks to the public. This method requires 18-24 hours of processing to receive results. The Chicago Park District would use results of the culture based method to notify the public when levels exceed UPEPA recommended levels, which is 235* CFU. When bacteria levels exceed 235 CFU, a yellow swim advisory flag was implemented. This standard is still used at most beaches throughout the Great Lakes region. For more information please refer to the USEPA Recreational Water Quality Criteria. The statistical prediction model forecasted real-time Escherichia coli (E. coli) bacteria levels present in the water. 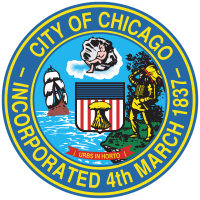 The Chicago Park District (CPD) in partnership with the US Geological Survey, developed statistical prediction models by using weather data pulled from CPD buoys (https://data.cityofchicago.org/d/qmqz-2xku) and weather stations (https://data.cityofchicago.org/d/k7hf-8y75). The Chicago Park District would use results of the predictive model to notify the public when bacteria levels would exceed 235 CFU. When bacteria levels exceed 235 CFU, a yellow swim advisory flag was implemented. This dataset is historical-only. A similar dataset starting in 2017 can be found at https://data.cityofchicago.org/d/xvsz-3xcj -- The Chicago Park District issues swim advisories at beaches along Chicago's Lake Michigan lakefront based on predicted E. coli levels. This dataset shows the predictions and whether a swim advisory was issued due to the predicted E. coli level being at least 235 Colony Forming Units (CFU) per 100 ml of water. The Chicago Park District issues swim advisories at beaches along Chicago's Lake Michigan lakefront based on E. coli levels. This dataset shows predicted E. coli levels based on an experimental analytical modeling approach. The Chicago Park District issues swim advisories at beaches along Chicago's Lake Michigan lakefront based on E. coli levels. This map shows predicted E. coli levels -- with bubble size corresponding to predicted level -- and whether the predicted E. coli level was at least 235 Colony Forming Units (CFU) per 100 ml of water (red bubbles). This map updates daily and its predictions depend on data from https://data.cityofchicago.org/Parks-Recreation/Beach-Lab-Data/2ivx-z93u. It will show no predictions from midnight until the new day's predictions have been generated. The Chicago Park District tests water samples at beaches along Chicago's Lake Michigan lakefront, which it tests for E. coli in order to monitor swimming safety. Multiple samples may be taken from a beach and samples may be tested by culture, DNA testing, or both. The modeling prediction numbers forecast real-time Escherichia coli (E. coli) bacteria levels present in the water. The Chicago Park District (CPD) in partnership with the US Geological Survey, has developed statistical prediction models by using weather data pulled from CPD buoys (https://data.cityofchicago.org/d/qmqz-2xku) and weather stations (https://data.cityofchicago.org/d/k7hf-8y75). E. coli is an indicator species for the presence of disease-causing bacteria, viruses, and protozoans that may pose health risks to the public. The culture based testing numbers indicate E. coli levels present in the water. This method requires 18-24 hours of processing to receive results. US Environmental Protection Agency (USEPA) recommends notifying the public when E. coli bacteria levels are above the federal water quality Beach Action Value (BAV), which is 235*CFU. When bacteria levels exceed 235 CFU, a yellow or red flag will be implemented. This standard is used at beaches throughout the Great Lakes region. For more information please refer to the USEPA Recreational Water Quality Criteria. The rapid testing method (qPCR analysis) is a new method that measures levels of pathogenic DNA in beach water. Unlike the culture based test that requires up to 24 hours of processing, the new rapid testing method requires a few hours for results. The Chicago Park District can use results of the rapid test to notify the public when levels exceed UPEPA recommended levels. US Environmental Protection Agency (USEPA) recommends notifying the public when DNA bacteria levels are above the federal water quality Beach Action Value (BAV), which is 1000*CCE. When DNA bacteria levels exceed 1000 CCE, a yellow or red flag will be implemented. For more information please refer to the USEPA Recreational Water Quality Criteria (http://water.epa.gov/scitech/swguidance/standards/criteria/health/recreation). * The unit of measurement for Escherichia coli is Colony Forming Units (CFU) per 100 milliliters of water. *The unit of measuring DNA is Enterococci Calibrator Cell Equivalents (CCE) per 100 milliliters of water.